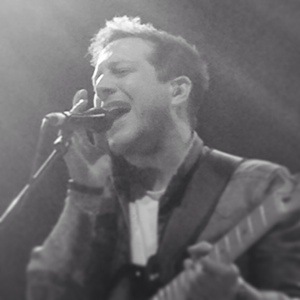 Gig Review: Matt Cardle, Shepherd’s Bush O2 – music waffle. The Porcelain Tour sees Matt return with his band, two years after the successful Letters Tour, which took place whilst he was under the jurisdiction of Sony/Columbia. On that occasion crowds were pleasantly surprised that the somewhat overproduced album was given a different spin, due to the improved arrangements overseen by musical director Paul Bullen. Since then, bar a handful of launch gigs for second album The Fire in Oct 2012, it has looked at times as though Matt has contemplated going down the acoustic route. No one can deny his ability in this area, after all he won the X Factor in 2010 on the strength of his voice alone, but it massively undersells his talents as a song creator (“writer” doesn’t seem quite generous enough a term) and musician, seeing as he could apparently play a bag of spanners and make them sound pretty good. After his recent spell in rehab to sort out an addiction to prescription drugs, it seemed as if once more the band tour was slipping through the fingers, but somehow, someone somewhere got us to all be at this place and time. The evening was set up by support acts Mike Dignam, who I knew little of, but will definitely research further now, and Azu, who has become a Cardle fan favourite. Having also supported Matt last year during his Unplugged Tour, songs like Broken Circle and Black Market have become sing-a-longs for the crowd. Both came across as thoroughly personable guys, and fit in well with Matt’s nice guy aura. Number One: Give me your lips. Number Two: Give me the rest. Number Three: Dig in with your hips etc etc. The band performing live undoubtably adds an extra dimension to the material. Letters is simply a beast of a track live. Matt frankly shows off, with the longest note hold since breath was invented, and Lorenzo De Feo has me simply gaping in slack jawed idiocy as his rocks up his fast fingered magic. When You Were My Girl is again notched up another level live. It’s ridiculously funky, causing me to bust the sort of disco diva moves that my kids would cringe at, but it’s simply an irresistible force. Matt leaves the stage for a while and allows the band a spell in the spotlight – Richard Lobb cool-duding the bass, Paul doing the Muppets version of Animal on the keyboard, and Lorenzo, well … being Lord Lorenzo. A bit of spice is added to proceedings with the appearance of Melanie C. She is on good form, crowd pleasing by wearing a Matt Cardle T shirt, and teasing Matt about his Brotherhood of Man/Hopscotch foot moves. She jokes that she isn’t used to singing in front of so many women (“straight ones anyway”), and any of her fans present were treated to two songs of her own, Never Be The Same Again and I Turn To You, as well as her appearance in the encore for Loving You. As usual, there were touching moments in the evening. Faithless is breathtakingly beautiful, as usual, and the lyrics of album title track Porcelain have taken on an even greater significance with Matt’s January spell in The Priory. He dedicates it to lost friend Adam, and as he crouched down to compose himself, it seemed like he might not actually get up again. Under normal circumstances I would feel the urge to offer a comforting arm squeeze to a fellow human, but clearly such behaviour would have me carted off by security, so we just had to watch and wait with a few choice “Come on Matts” chucked in. In fact the evening seemed very much to have the sense of an audience desperately wanting to show a man how much they appreciate the difficult journey he’s been through. As the lyrics of It’s Only Love say “Did you think it would hold you? Did you think it would carry you?” Well yes, in this case, I think it probably did. To attempt to bring an element of balance to this review, I would like to voice my disappointment at the omission of A Little Too Late from the set list. In my opinion it’s the best song he’s ever written, a soundscape of real maturity, and does make me think that Matt sometimes misreads what his audience wants (along with some other odd decisions on the journey). Lately, the stand out track of the last album The Fire (thankfully included tonight, although it hasn’t always been on this tour) caused a stir with it’s muck rolling video, but was never given a shot as a proper single. Maybe the whispers of the radio pluggers and populist mumblers shape a lot of these decisions? If only it were as simple as picking the best songs and going for it. As a fan I can be an idealist but I guess the business isn’t idealistic. Undoubtably it’s a tough job juggling balls, whilst spinning plates and walking a tightrope post X Factor to craft a career the way Matt has chosen to, but I hope the tidal wave of respect and admiration tonight was an almighty affirmation, if he needed it, that the struggles are all worth it. Final words: The band Matthew. THE BAND. Grab them by the ankles and hold onto them. Reblogged this on Team Matt Cardle. Pingback: Time for Matt to be alive – music waffle.